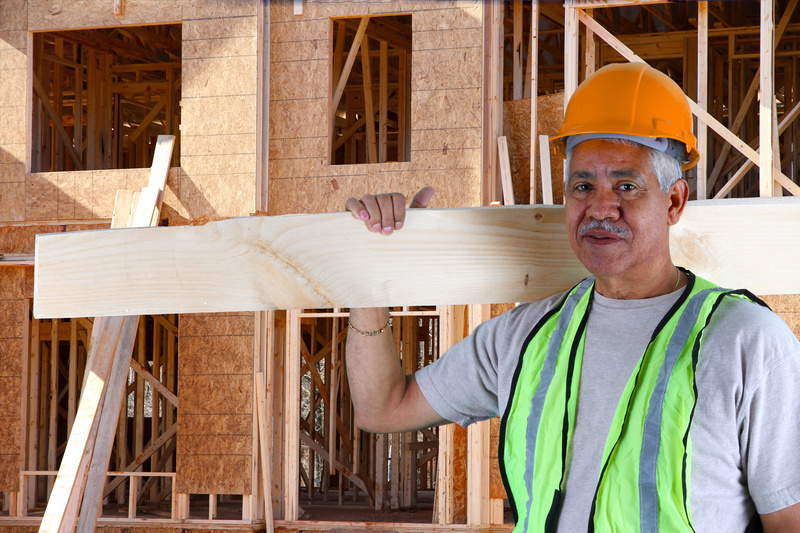 Disability Insurance for Construction Workers is a must due to the risks inherent in the profession. One of the largest carriers in the country, that has an A+ rating has a new disability insurance program that is a price leader, because they do not “up rate” you due to your high risk occupation. Read the new blog post below and contact a coach today! Some jobs are pretty safe. If you were to work in a position where you sat at a desk most of the day, typing away on a computer and walking to the printer, the odds of an injury would be pretty low. There are new disability insurance options that DO NOT take into account that you have a high risk occupation. What that means is that you can obtain disability insurance for construction workers for the same price as if you were an accountant or an attorney. Contact a disability insurance coach today and ask about our Priority Income option. As an accountant or office worker you could end up with carpal tunnel or something along those lines, but your overall risk would be modest in comparison to working at a construction site. No matter what kind of construction work you do, there is some degree of risk with regard to getting injured on the job. Construction often requires the lifting of heavy objects, working with powerful tools, performing tasks in dangerous locations, and more. Simply put, construction work is not for the faint of heart. If you work in construction and would like to discuss your options for disability insurance, please feel free to contact us right away. The introduction to this article might sound a little negative in regard to construction work. We don’t intend that to be the case. Indeed, there is a lot to like about carving out a career in the construction field. In addition to earning a living, you can also enjoy benefits like working outside instead of in an office, you will often get to work closely with co-workers, and you may have the opportunity to contribute to exciting, notable projects. To be sure, many construction workers wouldn’t trade their tool belt for a keyboard and mouse. By picking up disability insurance for construction workers, these individuals can stay on the job they love while being covered at the same time. While there is a lot to like about this type of work, the risk of injury cannot be ignored. One of the things to keep in mind here is the fact that it doesn’t need to be a major injury in order for you to be taken off the job. And, you don’t even need to be injured at work to wind up in a position where you can’t earn a paycheck for a period of time. Since construction work is so physical, even something relatively minor may prevent you from doing your job properly. Let’s walk through an example to see how a real-life injury could affect your ability to earn an income as a construction worker. Imagine that you decide to play in a rec-league softball game this weekend with some friends at work. It’s nothing too serious – just a fun way to get outside and enjoy yourself. During the game, you make a throw across the field and hurt your shoulder. Suddenly, a fun day out at the park has created a problem that may have a real impact on your day-to-day life. If you were an office worker, this wouldn’t be much of an issue. You’d still have to address the injury and have it treated, of course, but you would probably be able to do your job. It doesn’t take much to be able to sit at a desk while typing on a keyboard and clicking a mouse. You don’t have a desk job, however – you work in construction. As a result, your physical capability is directly tied to your ability to earn an income. If your shoulder needs to recover, you might not be able to do your job for a period of time. And that is exactly when you would be happy to have disability insurance for construction workers on your side. To learn more about your disability insurance options, please click here! Most people don’t think too much about their bills once they have a budget established and a paycheck rolling in. Each month, you receive a couple of paychecks and you have automatic payments taken from your bank account for most of your bills. It’s simple, and it’s hands-off for the most part. Since you don’t have to think much about it, you may fall into the trap of taking this cycle for granted. But it is not guaranteed. If you were to become unable to work for some reason, those paychecks would quickly stop flowing. What would you do then? Do you have a plan for that circumstance? You planned ahead and have a disability insurance policy in place that delivers monthly, tax-free cash to your bank account, until you are ready to go back to work. As you can see, that list is pretty depressing. The first option is not appealing to anyone, and the second option might have even made you laugh. Quite simply, disability insurance for construction workers is the best way to cover yourself in the event that you can’t work for a period of time. With an appropriate policy in place, you don’t have to think about draining your savings or calling on that rich uncle for help. Check out these stories from people just like me and you that did not plan to have an accident or illness. Are You Covered at All? One of the best ways to get started exploring your disability insurance for construction workers options is to check with your employer on your current status. Do you have any coverage currently? It is possible that you will already be covered by either a short-term or long-term policy, depending on the policies of the company you work for. Get the details of any coverage you may already have and then contact Disability Insurance Coach for assistance. We can help you take the next step by recommending policies that suit your needs and compliment any existing coverage. The right policy for you is going to depend on a number of factors. For starters, you will need to think about how much money will be necessary to cover your bills each money if you are disabled and off the job. If you are at all familiar with your monthly budget, it should be pretty easy to come up with this number. Also, you’ll want to think about how much you can afford in terms of a monthly premium. In the end, we should be able to strike a nice balance that provides you with the necessary coverage without blowing through your existing budgetary limitations. Purchasing disability insurance for construction workers is not the kind of thing you want to put off for a later date. You want to take care of it right away, as you never know when an issue might come up that will take you off the job suddenly. Fortunately, here at Disability Insurance Coach, we make it easy to take care of this task. We’ll help you locate the right policy, and we think you will find the process to be quick and easy. Did you know that you can increase the size of your monthly benefit by using a social insurance substitute rider? When compared to the financial burden that you could bear if you are unable to work, the monthly premium required for disability insurance for construction workers is quite modest. Just like any other kind of insurance, a disability policy is a great way to solidify your financial future in a meaningful way. Thank you for taking the time to stop by, and we look forward to serving you! Please fill out the form on the left to get an immediate quote!